Hollis JohnsonWendy’s has long served fresh-beef burgers. On Tuesday, McDonald’s announced its Quarter Pounders would soon be made with fresh beef – historically a signature menu item for its rival Wendy’s. Wendy’s shot back with a Twitter campaign slamming McDonald’s for continuing to use frozen beef for most burgers, including the Big Mac. “You shouldn’t have to use a decoder ring to figure out what quality you’re going to get,” Wendy’s CMO Kurt Kane told Business Insider of McDonald’s new burgers. 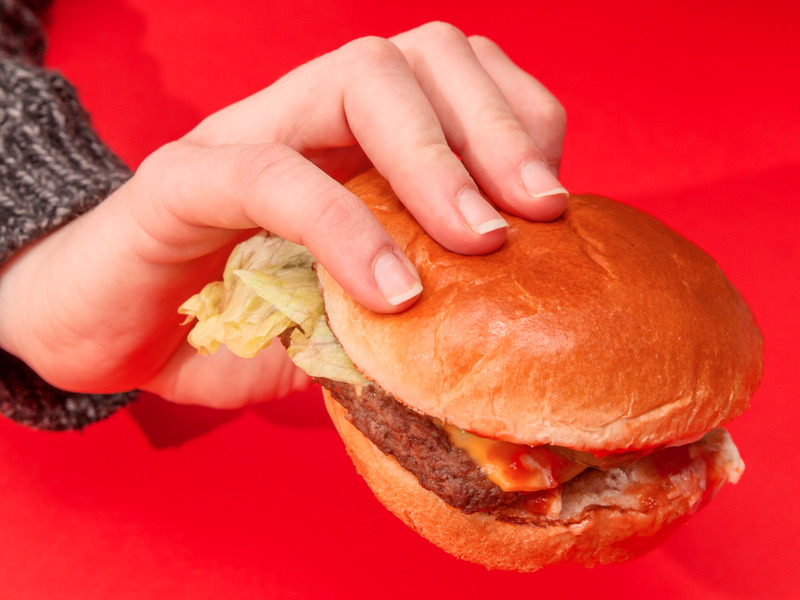 McDonald’s is adding fresh beef to the menu, but Wendy’s is refusing to let the industry giant steal its advantage in the fast-food burger wars. On Tuesday, McDonald’s announced it was swapping frozen for fresh beef in all of its Quarter Pounders at locations across the US. The fast-food chain is already serving fresh-beef Quarter Pounders at 3,500 locations and plans to complete its roll-out in early May. Wendy’s has long been the fresh-beef burger king of the fast-food industry. In February, the chain launched a national campaign highlighting its fresh beef – and slamming McDonald’s for its frozen patties. Some would think that McDonald’s new-and-improved burger would convince Wendy’s to lay off its brutal campaign against the larger chain. But, they couldn’t be more wrong. On Tuesday, Wendy’s began tweeting at McDonald’s about the fresh-beef news – and highlighting that not all of its burgers made the swap away from frozen beef. “We wanted to make sure that people aren’t confused about what is communicated and what is reality,” Kurt Kane, Wendy’s chief concept and marketing officer, told Business Insider on Tuesday. He added: “You shouldn’t have to use a decoder ring to figure out what quality you’re going to get” when you order a burger. McDonald’s is only switching to fresh beef for its Quarter Pounder burgers, and it will continue to use frozen beef on its standard hamburgers, cheeseburgers, and the Big Mac. Kane said that Wendy’s wants it be to be clear that it serves fresh beef on “every burger, every day,” unlike any of its national burger competitors. “They’re not influencing us in any way, shape, or form,” Kane said of McDonald’s. If anything, he said, McDonald’s is being influenced by Wendy’s long-term commitment to fresh beef, which it has used in all of its burgers since the chain was founded in 1969.